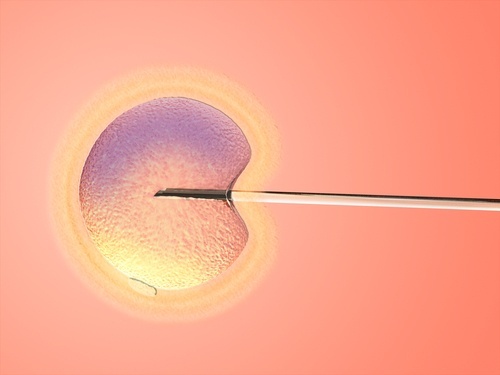 What Is ICSI with IVF? 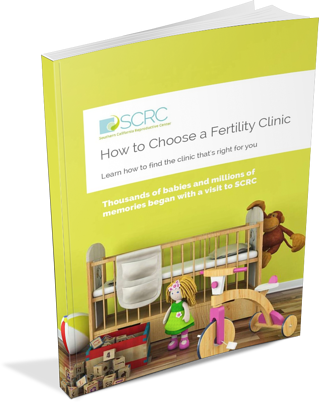 For a long time, most fertility treatments revolved around female-factor infertility. In cases where difficulty conceiving was the result of male-factor infertility, options were limited. These days, advances in fertility medicine have widened our horizons to address many different causes of infertility in both partners. Intracystoplasmic sperm injection (ICSI) was developed to pick the best sperm to place in to egg and to address common issues with sperm, such as low sperm count, poor mobility and other problems. ICSI was first used successfully in the early 1990s, and since then it has helped thousands of patients achieve their dream of becoming parents. Intracystoplasmic sperm injection is a sophisticated Assisted Reproductive Technology (ART) that is used in conjunction with In Vitro Fertilization (IVF) to treat sperm-related infertility problems. It is a highly targeted approach that can be successful where other methods have failed. During ICSI, an embryologist injects an egg with a single sperm to achieve fertilization. From the epididymis: a small tube behind the testis. This procedure is called microsurgical epididymal sperm aspiration or MESA. From the testicle: this procedure is known as testicular sperm aspiration or TESA. Testicular tissue biopsy: the doctor may use a needle to perform the biopsy or make a small incision, referred to as a surgical biopsy. In all cases this is a very minor procedure. Depending on the diagnosis, the sperm sample may be treated to ensure that the most active and healthy sperm are selected for ICSI. Around the same time that the sperm is collected, the female patient will visit the clinic for the egg retrieval procedure, which is performed under sedation. You can expect to spend one full day at the clinic for the egg and sperm retrieval procedures, which are often both done on the same day. The gametes (sperm and eggs) are take to the lab, where ICSI is performed by the embryologist and the eggs are fertilized. Once the resulting embryos have been incubated in the lab for a few days, one or two will be placed in the woman’s uterus during the embryo transfer procedure. About 12 days after the transfer, the clinic will administer a pregnancy test. If it is positive, a second test will be scheduled within a week’s time. After two positive tests, an ultrasound will be scheduled two or three weeks later. At that point, if all is well, care can be transferred from the fertility clinic to an OBGYN. Who can benefit from ICSI IVF? Who might not benefit from ICSI IVF? While ICSI has been revolutionary in treating sperm-related infertility and general fertilization issues, some types of female factor infertility (such as low egg quality) might not be overcome by this procedure. If this is the situation in your case, your doctor will be able to discuss other options with you. What are the risks of ICSI IVF? ICSI IVF is very safe. It carries the same risks as any IVF cycle: side effects or poor reactions to the fertility medications used to stimulate the ovaries, Ovarian Hyperstimulation Syndrome, and very rare cases of infection. There is a slightly increased risk of genetic abnormality associated with the use of ICSI, though it is not certain whether this is caused by the procedure or by the underlying condition which caused the infertility in the first place. This risk can be mitigated with careful embryo selection and Preimplantation Genetic Diagnosis (PGD). If you have any questions or concerns about ICSI or are not sure if it is the appropriate treatment for you, it is a good idea to schedule a consultation with a fertility specialist. The first step towards successful ICSI IVF is a correct diagnosis. Your team should take a comprehensive look at the reproductive health of both partners so that they can put together an accurate assessment of your fertility challenges. When you are selecting a fertility clinic, look for a proven history of success with ICSI IVF. The quality of the lab and the expertise of the embryologist can give you a crucial edge in your quest to conceive a healthy baby.